The NHSPCA depends greatly on over 700 volunteers who donate their time and talent to help the animals. Without volunteers we could not accomplish or advance our mission. Improving the welfare of animals is a big job. But every little thing you do to help solve the problems of overpopulation, cruelty, neglect and irresponsible pet ownership counts. The NHSPCA Volunteer Program will give you the satisfaction of knowing that you are making a difference in the lives of all animals. Volunteers need to be 16 years of age to assist with direct animal care. The signature of a parent or guardian is required for individuals under age 18. For more information regarding volunteer activities for persons under age 16, contact our Humane Education Coordinator at 603-772-2921 ext. 113. Or visit our Junior Volunteer page. We require that all volunteers commit to contributing a minimum of 6 months of service and a minimum of 4 hours per month. A knowledgeable and trained person that volunteers consistently is truly a benefit to the animals in our care. Cat Care: provides hands-on care to the animals, ensuring that the shelter living environment remains safe, clean and as comfortable as possible. Feeding, cleaning cages, stocking cat rooms and provide socialization to cats. Morning hours are needed most: 8:00- 10:00 a.m.
Cat Room Monitor: Supervises the activity within the Cat Pavilion during business hours. This is a high public contact position that requires comfort interacting with people as well as requiring animal handling skills. Requires several hours as cat care volunteer, and some additional training. Small Mammal Care: Care of rabbits and other small mammals, feeding, cleaning cages, medicating, stocking feeding area. Morning care is needed most 8:00 – 10:00 a.m.
Horses/Barn Animal Care: Feeding, cleaning stalls, stocking barn. Needed 8:00 – 10:00 a.m. or 3:00-4:00 p.m. Must have previous experience working with horses/barn animals. Dog Care: Walking dogs, socializing, feeding, cleaning cages, scooping up waste in the yard, stocking the kitchen and laundry areas. Needed any day 8:00 – 10:00 a.m. or 2:00 – 4:00 p.m. Evening sessions available on Tuesdays and Thursdays 5:00 – 7:00 p.m.
Kennel Monitor: Supervises the activity within the Dog Pavilion during business hours. This is a high public contact position that requires comfort interacting with the public and answering questions. Requires some amount of experience with dog care and additional training. Laundry Duty: Often part of the Dog and Cat care procedure. This involves doing Laundry in the Adoption Center, stocking the room as needed, and keeping the laundry room clean. Greeter: A high public contact position that requires greeting customers as they come into the Adoption Center, answering questions, and providing direction. Foster an Animal: Foster parents are an invaluable part of the care and rehabilitation of young, sick, or special needs animals. Fosters must be 18 years or older, be willing and able to take your fosters to follow-up veterinary appointments every 2-3 weeks, keep your foster pets separate from household pets for two weeks or longer in a spare room or contained area. Feed, care, socialize and monitor the health of the foster animal(s). Paws Walk Committee Members: Looking to gain valuable experience in fundraising, event planning and animal welfare? Want to make a real impact with the skills you have? 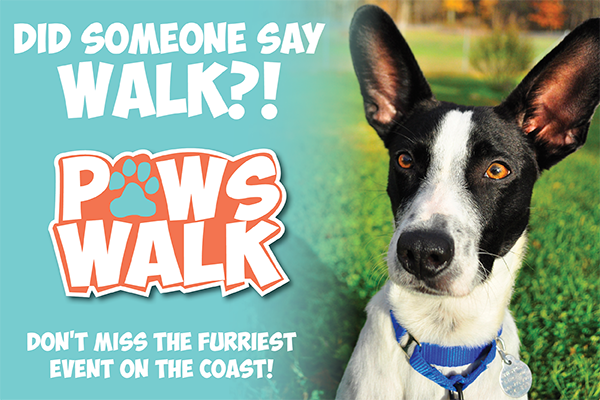 Join our Paws Walk Committee and help plan and execute the biggest animal welfare event on the Seacoast! Annual Auction Committee Member: Are you interested in building your resume, networking with local businesses and philanthropists, and helping to save the lives of needy animals, all at once? The NHSPCA Auction for the Animals Planning Committee is just the thing for you then! General Office Help: May include phone reception, data entry, copying, general mailings, folding, stuffing envelopes, thank you calls, labeling, and any other projects as assigned by supervisor. Needed any weekday between the hours of 8:00 a.m. – 4:00 p.m.
Special Projects: Capital and Annual Campaigns, marketing, fundraising, etc. Sales skills needed. Poster and Newsletter Distribution: Help us get up-to-date information about NHSPCA news and events to the public by distributing flyers, posters and newsletters to local veterinarians and businesses in the community. Classroom Volunteers: Teach kids humanity towards animals! Combine your love of animals with the joy of working with kids. Our Humane Education Coordinator is looking for individuals who understand that the key to a more humane future for all living creatures is through the education of children today. Opportunities include: summer camp counselors, birthday party helpers, filing and copying, and classroom monitors. These are fun and educational opportunities for yourself, the kids, and animals. Bakers: If you are a good cook and would like to volunteer your baking talents, we can use you to help with a variety of events throughout the year. Lawn and Garden Help: At least twice a year we have grounds clean-up and planting projects both on-site and at Rolling Meadows, the NHSPCA Pet Cemetery. If you love to get outside and get your hands dirty – this could be the volunteer opportunity for you. All new volunteers are required to attend a general information session. These sessions are typically held on the first and third Thursday evening of the month and they last approximately an hour. Pre-registration for these sessions is required and space is limited. Please contact the Volunteer Coordinator directly to register for the next available session. At the session, prospective volunteers will receive a tour of the Adoption Center and specific information on volunteering and volunteer opportunities in the shelter. During the session, new volunteers will fill out an application and a chance for questions and answers. Training for volunteers who wish to work directly with the animals is scheduled after the orientation. Training is conducted by staff or veteran volunteers and typically runs 2-4 hours. Volunteers who choose to participate in other activities or positions are given specific instruction and guidance by staff or volunteers. Contact the volunteer coordinator if you have further questions. Surround yourself with animals and people who are kind to them. 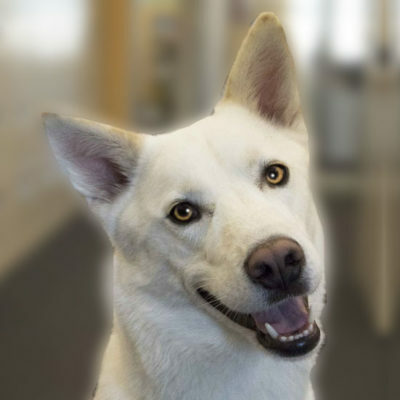 Sign up to become a NHSPCA Volunteer! Can you help? Chew toys needed!